Happy New Year, and welcome to the crazy crypto world of 2019! As the market for cryptocurrencies as a whole heats up, the ability to find the best mining GPU will be what sets your profit above all the rest. Especially in times of a market turn down like we saw through most of 2018, having a profitable, and power efficient GPU mining rig will allow you to continue mining through the lower-profit times. What caused the GPU shortage? Please think carefully through the factors outlined in this article, and make sure you are thinking rationally about your decision before you buy your mining gpus. It’s easy to get caught up in the hype, the FOMO (fear of missing out), and spend more money, or even waste money on GPUs for mining that really aren’t that wise. What I mean is that your outlook on the future of the cryptocurrency markets will determine how much you are willing to spend (a.k.a. risk) on your GPU rig. 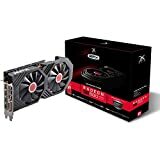 Due to the huge GPU shortages, most of the best mining GPUs are selling for double (or more) their original MSRP, and we all know that the more you pay for your GPUs, the longer it takes to make a profit with your rigs. However, and this is the tricky part, it depends on your overall outlook for the future, as well as your ability to hold the coins you mine – or if you need to sell them to cover costs as soon as they are mined. If you are convinced that this January pullback is fairly routine, and there is nothing to fear in the long run (see here, the January pullback is common), then you can estimate your profitability based on a future price increase. Since we’re experienced a near 80% pullback in January 2019, you could assume your profits will actually be double what the calculators say if you think the market will return to it’s previous high in the near future. This is risky, and although I don’t recommend that you do this, this is exactly what I am doing right now with one of my GPU mining rigs. Since the price of the coin I mine has come down, I am holding it, as I firmly believe in the coin’s longterm outlook and feel pretty safe that the price will rise again in the next few months. Plus, I don’t need the money right now – I can afford to pay my electricity bills and keep food on the table for my family. This is more of a speculative play, and it has a higher potential for profit, but also a higher risk. If the coin keeps going down, and I get to a point where I need to sell the coin, I will have a potential loss. Of course, if you can’t afford to buy the best mining GPUs at the current prices, and you can’t afford to hold the coins while you pay for power until the prices do return, then it wouldn’t be wise to assume the prices will return to a market cap of $850 billion. The safest path is to always base profitability off of current numbers, and assume they will decrease by a large portion every month (due to increased competition/difficulty and decreased payouts for proof-of-work coins). Let’s face it – GPU stocks are severely limited, making it difficult to find a GPU to buy online, local. In fact, it’s difficult to even find a used GPU on Craigslist or Ebay! And since we all now how supply and demand works, GPU prices are very high right now. Since the increase was so quick, there was not enough time for miners to increase their hashrates fast enough, which meant the same number of miners were now making 2.5x per day more than they were at the start of December 2017! Some of the best mining gpus were set to pay off (ROI, return on investment, make back what they cost) in as little as 100 days, and there was just a huge rush of people coming into the space looking to buy as many of the mining GPUs as they could. The existing stock of graphics cards could only last so long before massive shortages sent ripples across the whole industry. The shortages ended up causing huge price increases on any mining GPUs that did go up for sale (and of course an onslaught of anger from anti-cryptocurrency video gamers). Just because it’s good for me, doesn’t mean it’s good for you. Use your head and make your own decisions – you are the one that has to live with the consequences! With that in mind, let’s dive into the nitty gritty numbers and let’s find the best mining GPU for 2018! The most profitable GPU is not always the fastest GPU. It depends. It depends on how much you pay for electricity mostly, but it also depends on how much the GPU costs up front. For example, for a long time everyone was touting the GTX 1080 Ti as the best GPU for mining, but in reality it was simply the most expensive. Yes, the GTX 1080 Ti is a beast of a card – it can hash up to 750 sol/s on the equihash algorithm! However, efficiency wise, it can only hash about 2.8 sol/watt up to a max of about 3.5 sols/watt on the more exensive, overclocked models from the more expensive manufacturers like MSI and EVGA. Even comparing the GTX 1080 Ti to an older, smaller, cheaper, less-known NVidia mining GPU like the GTX 1050 Ti mining, it can mine about the same efficiency – around 3 sols/watt average up to a high of 3.2 sols/watt. Even with the current day price inflations, the Asus 1050 Ti Phoenix is cheaper per hash than the GTX 1080 Ti – the only downside is that you need more GPU slots to get the same total hashrate. 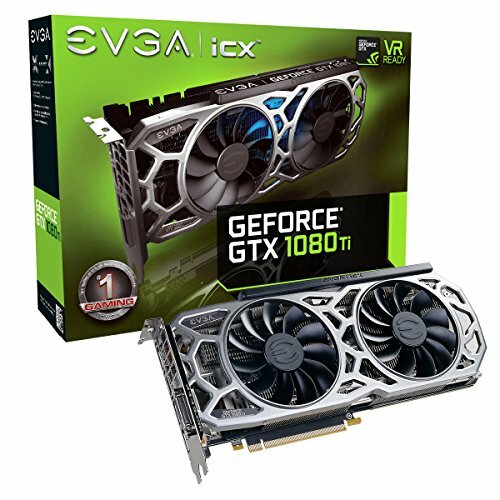 With the ability to hash 160 sols and only use 50 watts, the GTX 1050 Ti series mining GPU shouldn't be overlooked because it was released over a year ago. It can still compete for efficiency with some of the big boys like the GTX 1080 Ti if overclocked and undervolted carefully. If you don’t pay anything for power, then you don’t need to worry about efficiency, or power usage, you simply want the most hashrate per dollar when you’re looking to buy the best mining GPU. Then you’ll want something that is one of the top-of-the-line cards. 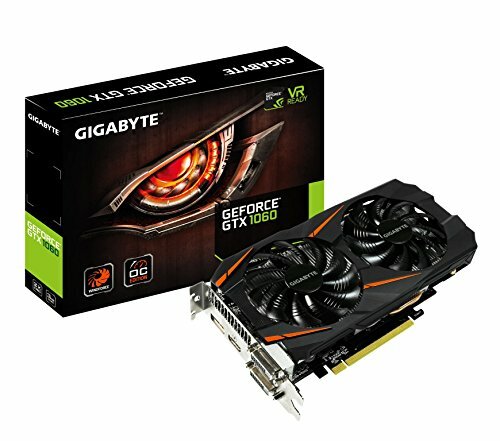 The GTX 1080 Ti from Gigabyte can hash around 800 MH/s when overclocked, and as long as you can keep it cool, it’s a great buy when looking at the dollar per hashrate. At the time of this writing, it was around $1.50 per sol, which was the lowest of all the NVidia cards (you can compare them here). 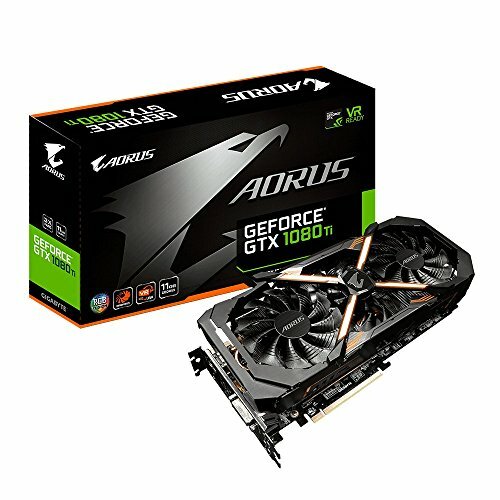 The Gigabyte Aorus can ahieve as much as 800 Sol/s on the equihash algorithm! Ethash isn't as impressive, or as profitable, so you'll want to take a look at mining something like Zencash or Bitcoin Gold with this mining GPU. Another sneaky entry into the category of best hashrate per dollar is the Gigabyte Windfore OC 1060 3GB. There seems to be too many people afraid of DAG file sizes so they stay away from the 3GB cards, when in fact, they are more profitable at mining equihash coins - and equihash coins have no DAG file to worry about! The Gigabyte 1060 Windforce can hash 290 sols/second even if you lose the silicon lottery and end up with Hynix brand ram! If you live in an area with higher power costs, than efficiency of your GPU mining rig will be very important. After all, what good is it to mine a bunch of coins only to have to turn them in to pay your high electricy bills? When looking at efficiency of the best mining gpus, it’s a fairly safe bet that the newer the card is (the most recently released ones being the newest), the most efficient it will be. There are a few exceptions, of course, but that’s why I created this handy-dandy GPU Mining Speed vs Cost Comparison tool. 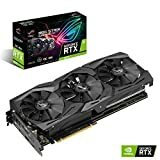 My favorite mining GPUs in this category are the ones that I’ve personally purchased, and yes, that makes me biased, but really, numbers don’t lie do they? The Zotac Mini is definitely not a top-of-the-line graphics card, but I was able to tune mine to get a hashrate of 520 sol/second while only using 144 Watts - an efficiency of 3.6 sols/watt. 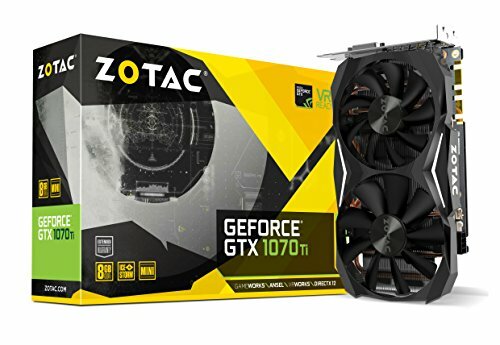 The good news about the Zotac Mini is that it's pretty much always the cheapest 1070 Ti you can find, because it's a mini and no one wants it. They'll be quick to say that mini cards are hard to keep cool because they're small and only have one fan. Well, if you're looking in the efficiency category, then you won't be burning through lots of power and generating lots of heat. My card runs at 63 or 64 degrees celcius, and the fan speed stays around 20% the whole time. Perfect for running quietly and fairly cool in the corner of my office. 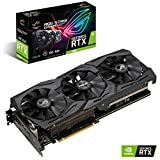 Looking for a cheap GPU for mining? Head to the low-end of the graphics card spectrum. The cards that have been around for a year or two, and don’t hash very fast. They’ll be cheapest. 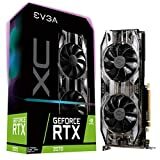 Cheap mining GPUs are great if you’re just looking to get one to try it out, to see if you like crypto mining, and to use it as a learning platform. 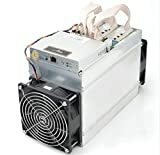 However, don’t expect to make much off of that $45 Craigslist GPU as it likely uses more electricity than it can pay for in mined coin profits. Somewhere inbetween the too-cheap-to-bother, and the wow-that’s-expensive camp is the section of GPUs that are just starting to get more attention. As the best mining GPUs are all selling out, GPU miners start to expand their horizons into the cards that aren’t as profitable, but are still worthwhile. And that’s where we’ll go for the cheapest mining GPUs. The Zotac 1050 Ti is about as low as you can go on the NVidia graphics card team and still make a profit. And, actually, these make a decent profit, but they're overlooked because they came out way back in 2016, and they only have 4GB of RAM - so people mining Ethereum won't be able to use them much longer without DAG file issues. Since it's so cheap, though, and it can hash 180 sol/s, it makes it a worthy entry. Yes, it uses more power, but it isn't a ridiculous amount. 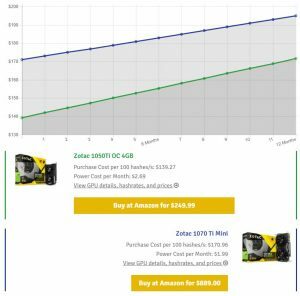 In fact, according to the comparison chart below, you can see that the Zotac 1050 Ti is cheaper to buy per 100 sols, and even with more power costs, it's still a cheaper overall buy after a year of mining than the 1070 Ti is! Even though the 1050Ti is a 2 year old card, it hashes fast enough for it’s cheap cost, that it’s cheaper to buy 100 sols/s hash speed than if you were to buy the 1070 Ti mini. The 1050 Ti uses more power, but even after a year, for that 100 sols/s of hash speed, you still are ahead by about $25 over the 1070 Ti (and that’s per 100 sols/s – so on a 1070 Ti that hashes 500 sol/s that’s $125 cheaper to buy 3 – 1050Tis than 1-1070Ti even after mining for a year). Of course, there is the one downside of needing 3 – PCIe slots if you buy 3 GPUs instead of just 1 faster, more powerful 1070Ti, but with all of the new 19 GPU motherboard options, it’s less of a concern than it used to be. That’s why it’s so important to take a look at the numbers, and not just buy the newest/fastest card out there. 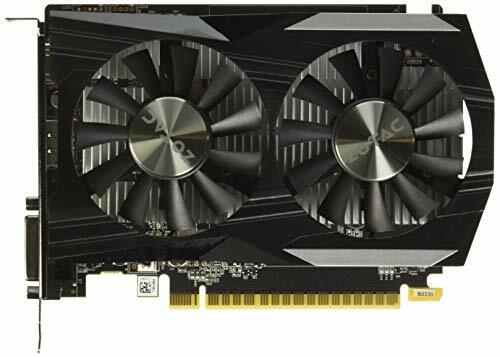 When you’re looking for a cheap gpu for mining in 2019, you might also want to consider some of the older AMD cards. There’s even talk that an RX 550 can hash about 300 h/s on Cryptonight (Monero’s mining algorithm) and only use about 50 watts – I’ll have to look into that! Another interesting option, for people who are building a full mining rig from the ground up, is to look at buying a pre-built gaming computer. Some of them come loaded with a fairly good mining GPU. 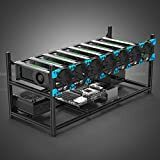 If you need to look at buying all the other mining components like a motherboard, cpu, ram, operating system, and a hard drive for your mining rig, then some of these pre-built systems are actually a pretty decent buy! This pre-build, fully assembled Desktop gaming PC is actually a pretty good buy if you're looking for a cheap mining GPU and you need all the other components for your rig too. With a SSD and a HDD, and 16GB of RAM, it's a little bit overkill in some ways, but that would allow you to split out those components and put them towards a second gpu mining rig in the future if you wanted. 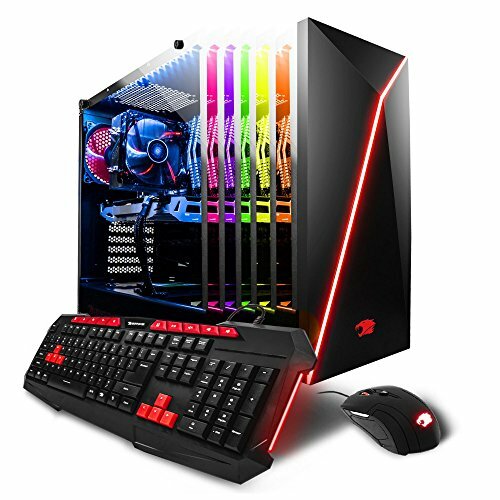 The cost of components (RAM - $170, CPU - $300, SSD - $75, HDD - $60, Motherboard - $75, Power Supply - , Wifi card, case, mouse, keyboard) adds up and you are actually getting a pretty good deal on the GPU this way! The otherboard has multiple PCIe slots, so there's space to add up to 4 GPUs to the board - although you'll need riser cables in order to get them all connected. 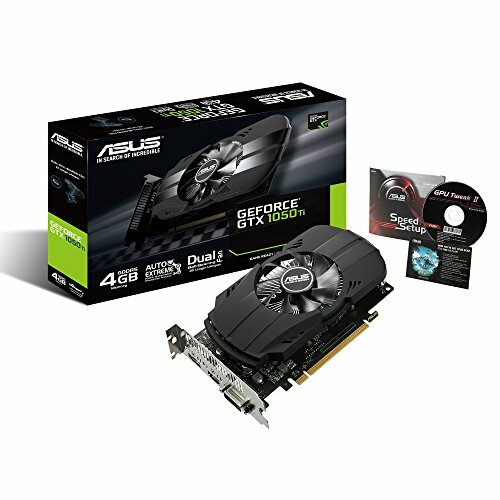 One caveat is that it doesn't specify what brand of GTX 1070 it comes loaded with - some report it's a blower style card, and others say it was an Asus Dual. Need another reason why this is so compelling? It's in-stock, and ready to ship today! Looking for something that will hash your socks off? The highest hashrate GPU is something of a unicorn – it’s always changing as new cards are released, but even more specifically, it depends what you are willing to pay. For example, the NVidia Titan V Volta GPU can mine Ethereum at 77MH/s, way higher than the next-in-line GTX 1080 Ti that can hash at around 40 MH/s max. However, the 1080 Ti is over $1000, but the Titan V Volta is over $5000! Definitely not worth double the hashrate! Another thing to consider when looking for the highest hashrate GPU is what coin and algorithm you’re interested in mining. In general, the NVidia cards are better at mining Equihash, while the AMD cards are the Ethash and Cryptonight winners. Let’s start with the green team (That’s what NVidia is lovingly referred to, while AMD is the red team). The GTX 1080 Ti is the undisputed champion of consumer targeted, attainable-within-a-reasonable-cost highest hashing GPU from NVidia. In stock form, the 1080 Ti can hash just over 30 MH/s, but when overclocked, it can achieve hashrates into the high 30s (like this 1080 Ti FOunders Edition that was overclcoked to 37 MH/s)! However, it consumes much more electricity than some of the comparable Ethash speed AMD graphics cards, so the GTX 1080 Ti is typically used to mine different coins. The 1080Ti graphics card from NVidia can get around 800 MH/s on the equihash algorithm, which makes it a great choice for people that want to mine as many coins as fast as they can! 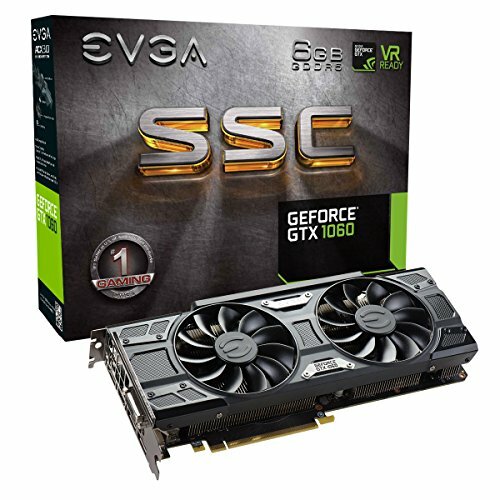 The EVGA 1080 Ti SC2 doesn't typically hash quite as fast as the Gigabyte Auros 1080 Ti, but it's hundreds of dolalrs cheaper, which makes it the better overall choice when looking to buy a high hashrate GPU like the 1080 Ti. Over in the red camp (AMD is the red camp, remember? ), the Radeon Vega 56 is the best bet these days. With the ability to hash almost 2000 H/s on the cryptonight algorithm (for mining Monero), it puts the 1080 Ti to shame by almost doubling the hashrate! Of course, the Vega 64 can achieve similar results to the Vega 56, but the 56 is much cheaper, and once flashed with the 64 BIOS, performs basically the same. 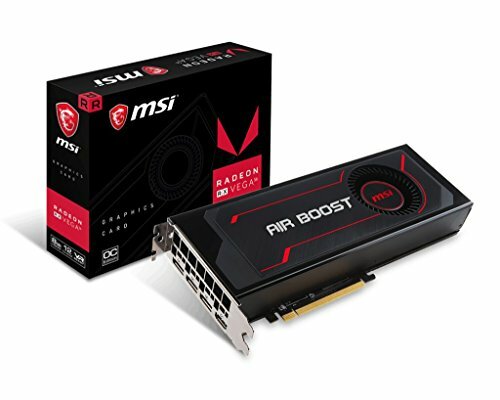 The MSI Radeon Vga 56 Air Boost mining GPU, when flashed with Vega 64 BIOS, it can achieve 1975 H/s on the Cryptonight algorithm. Or, if you'd rather use the Ethash algorithm, the Vega 56 Ethereum hashrate is as high as 45,46, even 47 MH/s! Just wanna say I loved your article about mining crypto in 2018 and overclocking. Really simple and easy to understand, great work!